with hydrogen fuel cell technology. 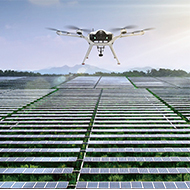 DMI’s fuel cell powered drones offer the best solution for large photovoltaic power plants, particularly for panel damage inspection. 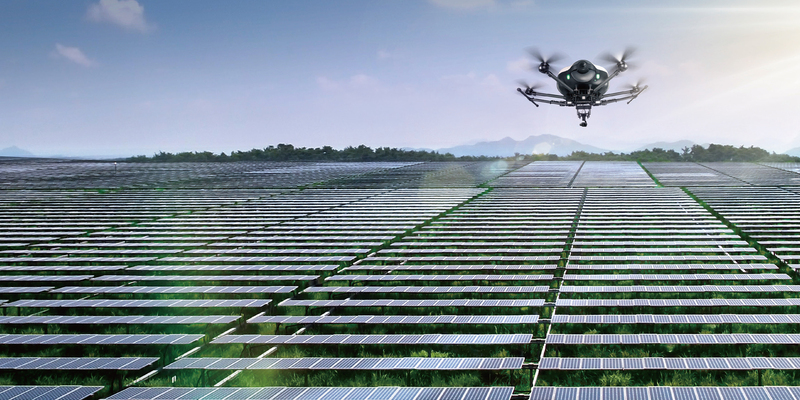 Over 2 hours of flight time is long enough to inspect up to 43MW-sized PV panels per day with one DMI drone system. This mean users can now precisely scan large PV panels in a short period of time without any plant downtime. Analysis of annual operations and maintenance utilization efficiency shows that a fuel cell powered-drone can save roughly 49% of inspection program costs while delivering over double the productivity of existing battery-powered drones. 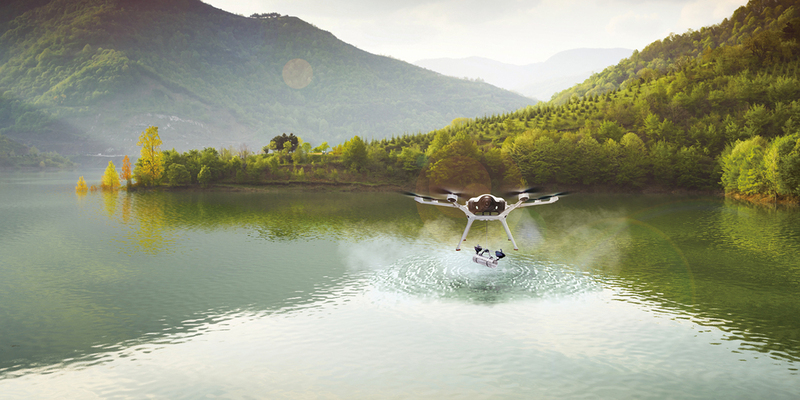 Fuel cell drones remove the need for boats or additional stations for inspection. With an optical camera on a fuel-cell powered drone, you can fly long distances to inspect turbine blades for cracks and maintenance issues. Use thermal imaging cameras on your fuel-cell drone to monitor and avoid turbine overload. By using drones for inspection, you can minimize downtown and take images from any angle without a blind spot. 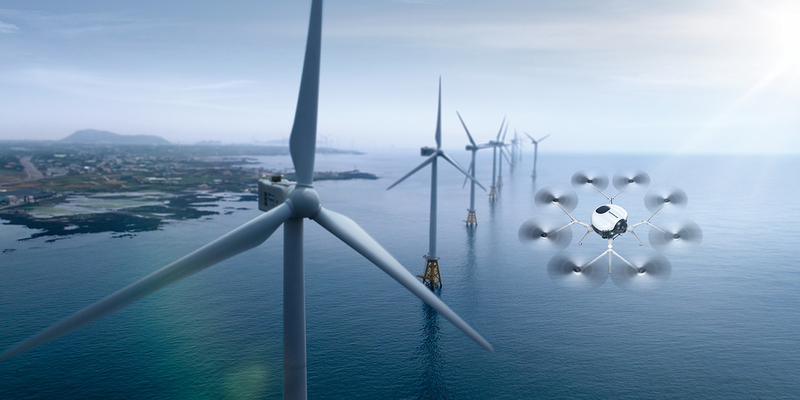 Using drones to inspect far-flung offshore wind farms means less cost, time, and complexity as you can conduct the inspection onshore, without having to take the boat or build offshore drone stations. Check bridge conditions and perform mandated inspections safely while reducing manned climbing. Drones equipped with zoom cameras and thermal imaging sensor help effectively inspect structures with low accessibility. 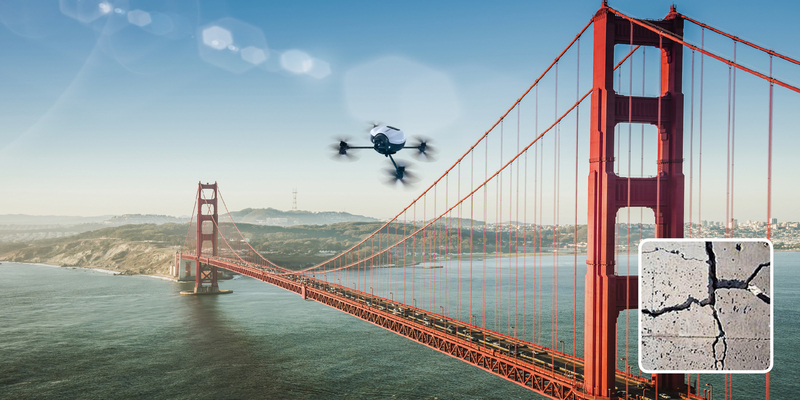 Using drones for pre-climb inspection can prevent accidents, and inspection flights for hard-to-access bridges can look for corrosion, cracks, and deformation of structures and piers. Previously, many workers had to control traffic and close lanes to work with ladder trucks and boats, and battery-powered drones could not be used as a replacement due to short flight time. However, fuel cell drones can be used as a replacement, helping you save cost and secure safety. In the highway, drones can cover the blind spot of traffic CCTV. Thanks to the long flight time, DMI’s drones can easily fly anywhere for effective traffic enforcement. Drones can also be swiftly dispatched to traffic accident scenes without a police car to prevent secondary accidents. 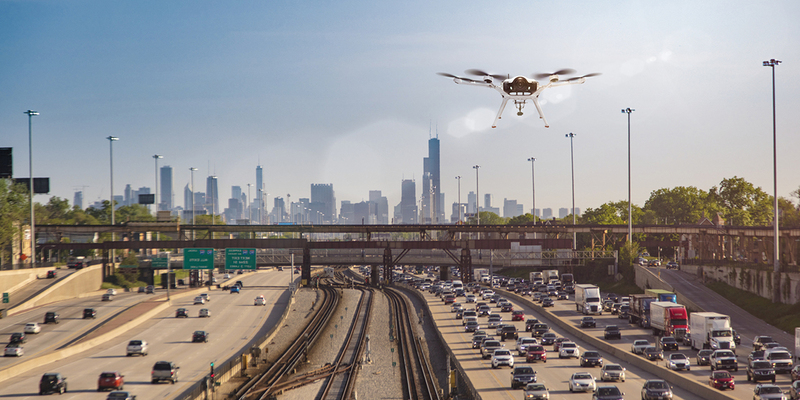 Drones can be used as mobile CCTVs to crack down on speeding vehicles or DUI, preventing violation of traffic regulations, which can lead to traffic accidents. This could encourage drivers to abide by traffic rules and drive safely, contributing to traffic flow during busy hours. 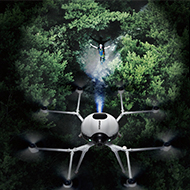 DMI’s long-endurance fuel cell drones equipped with thermal cameras and/or lights can help locate missing persons rapidly by covering significant areas in a single flight. Long-endurance flight means users don’t have to be in the vicinity to control the drone. This lets search operations start immediately even when harsh terrain or heavy traffic delays ground rescue activities. 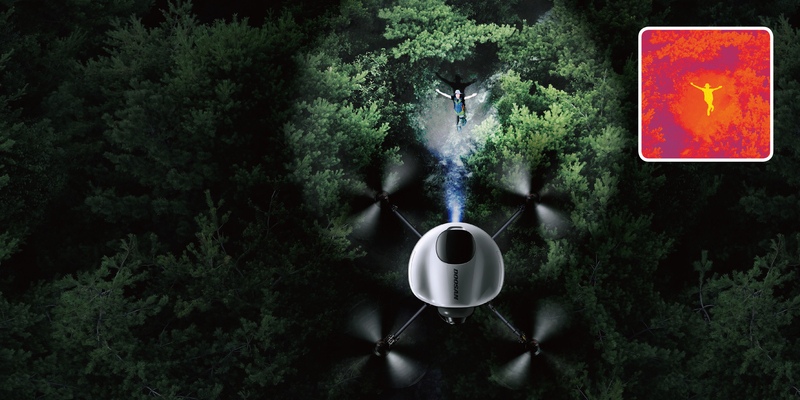 Multiple payload options and long-flight times allows perilous and night-time situation operation in sites and conditions that are difficult to access on the ground. 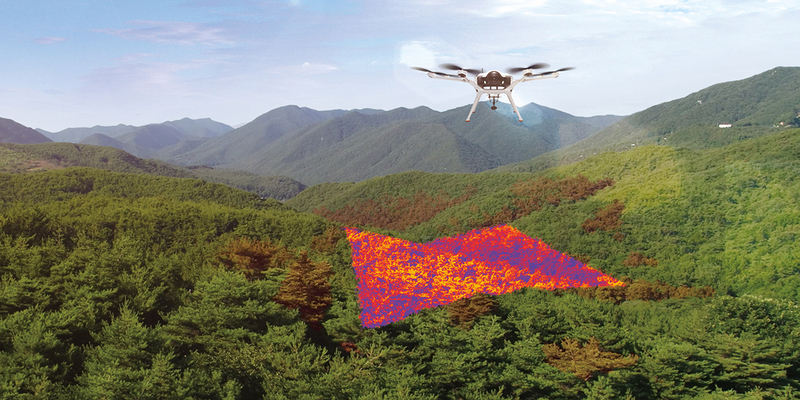 DMI’s fuel cell powered-drones can fly over 2 hours, allowing one drone to monitor up to 2800 acres of forests per day. Reduce mountain climbing and setup by controlling the drone from the ground, saving valuable time and adding convenience to forestry inspection and management. With long-endurance flight, users can precisely check the growth of plants and pest infection while saving costs by up to 23% compared to battery-powered drones (when managing a 400,000 hectares of area in a year). You can check the condition of the river without taking a boat and also collect samples. Drones topped with hyperspectral sensors can be utilized for precisely scanning and analyzing green algae. Unlike previous sampling method of collecting samples from a moving boat, drones with high mobility can take pictures to check current condition of green algae while flying and collect samples if needed. 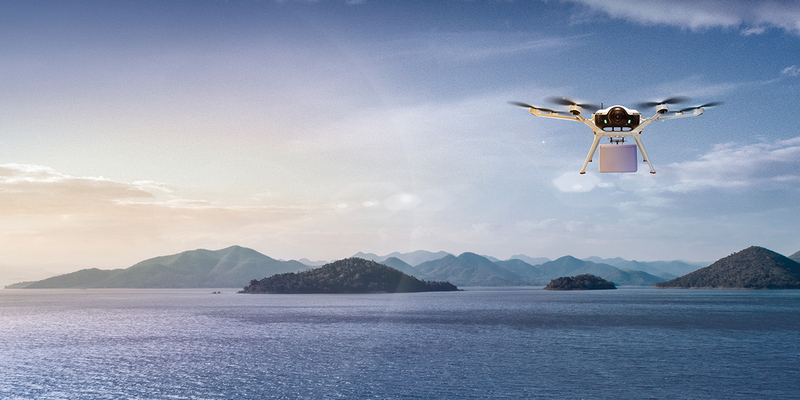 With longer flight time, fuel cell drones can understand distribution pattern from a wider area to analyze the cause of occurrence and spread pattern, thereby preventing further spread of green algae and controlling water quality. At large mining sites, drones perform multiple tasks to increase productivity, save money, and increase safety & security. Aureately calculate output and progress to save costs by tracking the volume of soils and minerals using aerial 3D mapping. 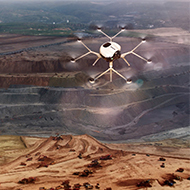 Long-endurance fuel cell powered drones can cover even large mining sites in a single flight, versus using multiple batteries and flight locations. Improve the safety of workers and prevent accidents by using aerial scanning over manual materials climbing. No matter how large the site, with hydrogen fuel cells you can conduct inspections, create 3d models and track assets in a single flight. 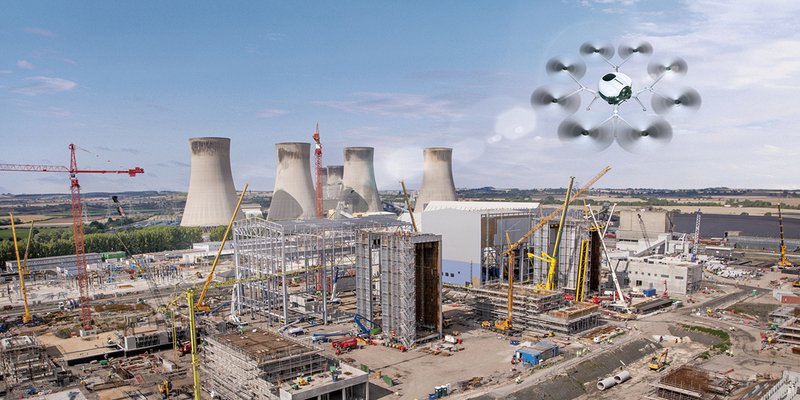 Fuel cell drones can be used for surveying and mapping on construction sites. Mapping using drones can be used for construction progress monitoring, and inspection high-altitude structures that are difficult to approach. Improve safety of the site by continually inspecting for risks, monitoring assets, and reducing manned climbing. 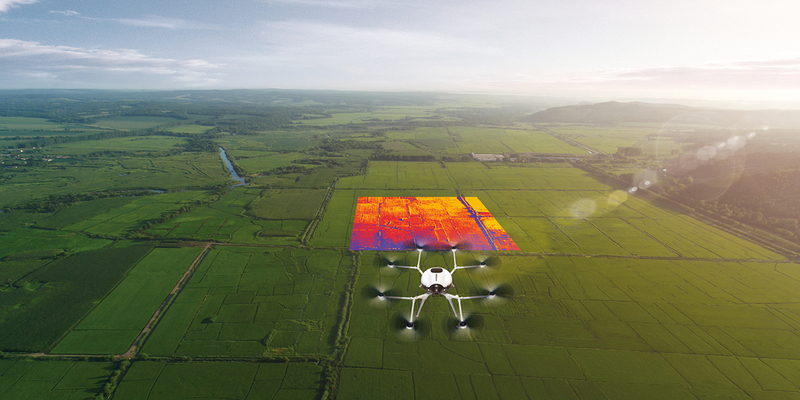 DMI’s fuel-cell powered drones using multispectral cameras can be used to collect and analyze agricultural data ranging from primary soil and farmland assessment results to crop growth data to calculate the right period for the next harvest. 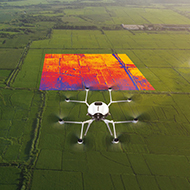 With over 2 hours of flight time, you can monitor up to 2800 acres of farmland per day, reducing aerial data collection costs and improving agricultural productivity. Agricultural long-endurance drone programs can help address rural labor shortages, enable optimized farm management, and use real time crop data needed to flexibly respond to weather, pests and changing field conditions. Monitor livestock on large farms regularly without leaving your farm office or facilities. Long-endurance drones can be used to monitor the condition of your livestock, as well as plan and support grazing and feeding. By attaching a Beacon sensor, remotely monitor the health, location, infections, and fertility of your livestock. Long flight times allows for collection of comprehensive information- rearing environment, health monitoring and physical exercise of herds even over very large grazing areas. You can deliver items to a remote location where the battery drones can never reach. 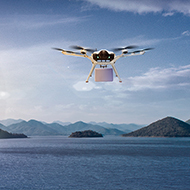 Fuel cell drones allow you to deliver packages anywhere without geographical limitation including places that are difficult to access such as islands and mountains. Its delivery distance is significantly longer than battery-powered drones. Cost, time, and complexity can also be greatly reduced since you will need less number of drones and less investment in logistics network i.e. stop-over stations, which are required for battery-powered drones. Fuel cell drones are applicable to various types of delivery including emergency delivery of relief items or medical supplies. During the night search, our drone will keep the scene bright more consistently than the illuminating shell. 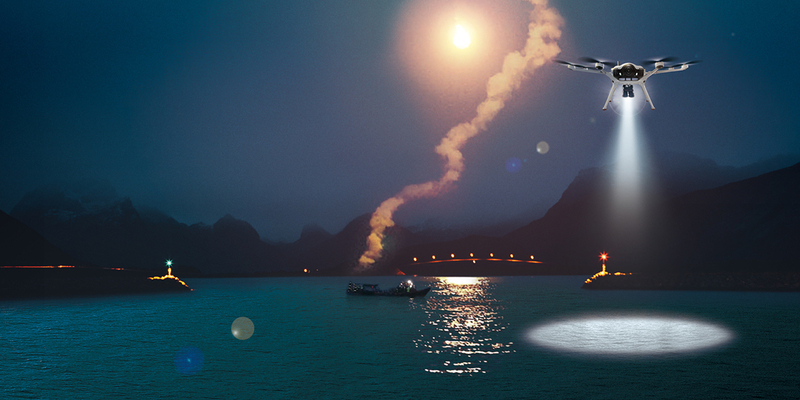 When attaching lights, drones can be used in night search operations. Drones will remarkably improve efficiency of search operations as they can light up an area more consistently and for longer hours than illuminating shells. 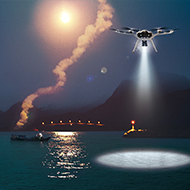 Drone lights can be used not only in search and rescue operations but also in various other areas such as leisure, industrial sites, and advertisement.